We are getting awesome coverage on ITunes Finland's New & Noteworthy for the album I co-produced, Have A Beautiful Life by Hannu Lepisto. it went to #1 in the their Alternative category and has been on their N&N from Dec. 11th until today (January 6th)! I co-produced Hannu Lepisto's #1 album HAVE A BEAUTIFUL LIFE as well as singing backing vocals and writing some arrangements on many songs. Please click the button to see it on Itunes. We have had some kickass reviews. Vents magazine calls it "the album of the year"! Work is underway on both an EP and a double EP. You can hear a demo version of one of my original songs, "Lord Of Snow & Ashes" that will be on the double EP. below. 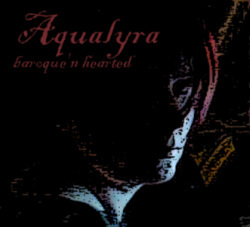 Music, lyrics & arrangements copyright, Aqualyra. Songs registered and lodged with The Songwriters' Association of Canada's Song Vault. Website Design By Victorian Underground Music, All Rights Reserved. Photographs copyright, C. Dianne Murray.